Residency regulations are published in their entirety under Official Residency Guidelines of our college catalog. Students who are members of Native American tribes whose reservation lands lie in Arizona and extend into another state and who are residents of that reservation. Winter visitors who have not established Arizona as their permanent domicile, even if here for more than one year, are still considered out-of-state. The following guidelines concerning the determination of residency for tuition purposes are a compilation of statutory law (A.R.S. 15-1801). Due to the complexity in interpreting this law, students having difficulty in determining their residency should contact the Admissions and Records Office for further explanation. Each student applicant shall have the question of legal residence determined prior to the time of registration and payment of fees. It is the responsibility of the applicant to register under the correct resident determination. 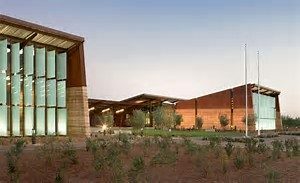 Enforcement of residency requirements shall be the responsibility of the President of Central Arizona College. The President has designated the Admissions and Records Office to make the initial domicile classification. In determining a student’s classification, the college may consider all evidence, written or oral, presented by the student and any other information received from any source which is relevant to determining classification. The college may request written sworn statements or sworn testimony of the student. A request for a review of the initial classification may be made to Dean of Academic Services. The request must be in writing, signed by the student and accompanied by a sworn statement of all facts relative to the matter. The request must be filed within 10 days of receipt of notification of classification as a non-resident. Failure to file properly a request for review within the prescribed time limit constitutes a waiver of review for the current enrollment period. The decision of the Dean of Academic Services shall be final. It is unlawful for any non-resident student to register concurrently in two or more public institutions of higher education in this state, including any university or community college, for a combined student credit hour enrollment of more than six semester hours without payment of non-resident tuition at one of the institutions. Any non-resident student desiring to enroll concurrently in two or more public institutions of higher education in this state, including any university or community college, for a combined total of more than six semester hours shall pay the non-resident tuition at the institution of his choice in an amount equivalent to non-resident tuition for the combined total semester hours at all institutions in which the he/she is currently enrolled. Students from 15 Western states are eligible to participate in the Western Undergraduate Education Program (W.U.E.). The program allows full-time students who are seeking degrees or certificates to pay 150 percent resident tuition, rather than out-of-state tuition. Central Arizona College participates in the program along with other colleges and universities in Arizona, Alaska, California, Colorado, Common Wealth of the Northern Marianas Islands, Idaho, Montana, Nevada, New Mexico, North Dakota, Oregon, South Dakota, Utah, Washington and Wyoming. Central Arizona College and Western New Mexico University in Silver City have established a tuition waiver agreement, which is subject to renewal. A New Mexico resident who attends CAC may qualify to be assessed in-state tuition. There is a limited number of waivers available. Contact the Admissions Office for an application form or additional information. An Arizona resident attending classes in Pinal County from Apache, Gila, Greenlee or Santa Cruz counties must submit a completed Out-of-County Residence Affidavit every semester.